Presented by the Rt Rev'd John Pritchard, Bishop of Oxford. The Cross is probably the best known symbol of the Christian faith. An object of veneration, the intersecting wooden planks upon which Jesus of Nazareth was brutally crucified have become the symbol for billions over the centuries of what it means to be a follower of him they called the Christ. 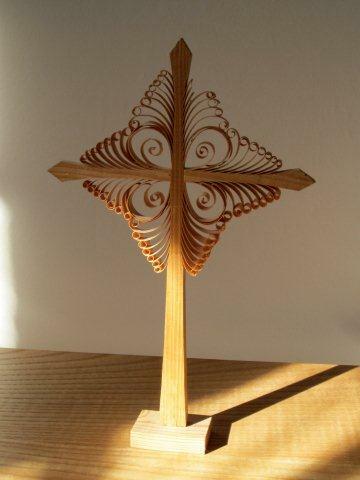 From ornate crucifixes in Florentine basilicas to the jewellery that hangs around our necks, it is easy to forget that these crosses which we cherish speak of one of the ugliest forms of execution ever devised, whilst also being the symbol for many of that 'life in its fullness' that God offers us in Jesus. Bishop John introduced our series by bringing with him a cross from his private chapel. Bishop John presented the first object, 'the Cross', on the 5th September in Deddington Parish Church. Presented by Professor James Dunn. 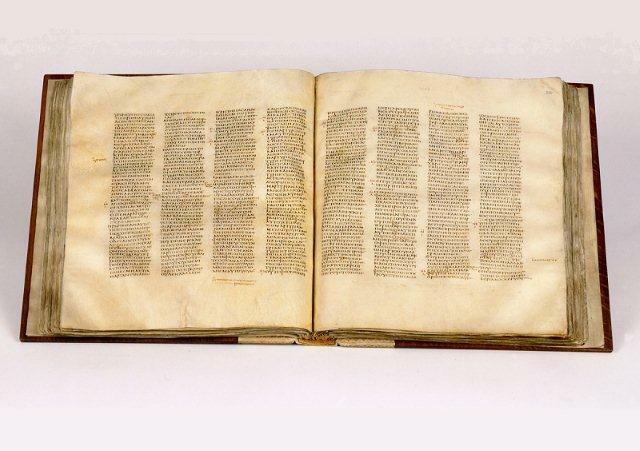 The Codex Sinaiticus is one of the most important documents in the world. Handwritten around 1600 years ago, the Codex is incomparable in its importance for our understanding of human civilization and the early Christian faith. Made up of 750 leaves, it contains the Christian Bible in Greek, and our oldest complete copy of the New Testament. Kept in the Monastery of St Catherine on Mount Sinai (from where it takes its name) until the mid-nineteenth century, and now divided between there, the British Library, the Library of the University of Leipzig, and the National Library of Russia, its modern history is as fascinating as its conception. We are immensely fortunate to have one of the world's leading New Testament scholars, Prof. James Dunn, present this extraordinary book. Professor Dunn presented the second object in the series, the Codex Sinaiticus, on 29th September in Deddington Parish Church. Presented by the Rev'd Dr Simon Jones. A distinctive element in the marriage rites of the Eastern Church was the crowning of the bride and groom. This may have had its origins in pre-Christian times and, as the high point of the liturgy, it continues to occupy a central place within the ritual of eastern wedding ceremonies today. These bronze Byzantine crowns date back to the 10th century, and Dr Simon Jones of Oxford University will explore their significance for our understanding of eastern Christianity and the rite of marriage. Presented by the Rev'd Canon Dr Judith Maltby. 2012 will mark the 350th anniversary of the Prayer Book that was introduced following the restoration of the monarchy after the English Civil War, following on from the 400th anniversary of the King James Bible in 2011. Both books have exerted enormous influence over English language and religion, and variants of the Book of Common Prayer are used in other 50 countries and in over 150 different languages. Canon Dr Judith Maltby, one of the world's leading experts on the Prayer Book, will introduce us to the fascinating story behind its introduction and use. Canon Maltby presented our fourth object, the Book of Common Prayer, on 28th November in Deddington Parish Church. Presented by Dr Sebastian Brock. This stone bema (which corresponds in function to a lectern) dates from the sixth century AD and comes from a village in North Syria (today it is in the garden of the National Museum, Damascus). It is inscribed in Syriac, one of the liturgical languages of Eastern Christianity, and reads 'May it be a good memorial for the priest Abraham, for John and for his mother, who perished' (was it in an earthquake? or in a raid on their village? or were they victims of the great plague of the mid sixth century?). In this lecture, Dr Sebastian Brock, one of the world's leading Syriac experts, uses this bema to bring to light the forgotten churches of the East, from the Council of Chalcedon in AD 451 to the persecution of Christians in the Middle East today. Presented by Canon Professor Sarah Foot. Regius Professor of Ecclesiastical History and the Chairman of the Theology Faculty Board in Oxford. The Staffordshire Hoard, discovered in a field near Lichfield in 2009, is the largest hoard of Anglo-Saxon gold ever found. 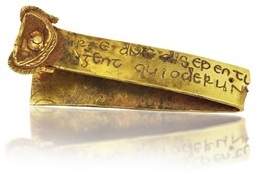 Most of the objects found are weapons and war gear, but among them are fragments of four or five Christian crosses including the strip of gold with a biblical inscription which is the sixth object in our series. Focusing on this object and the Latin text it bears (which means 'Rise up, O Lord, and may thy enemies be dispersed and those who hate thee be driven from thy face') enables us to reflect on the circumstances in which Christianity was introduced to the war-like Germanic peoples of Anglo-Saxon England. We shall consider how the English turned to the Christian God as a support in time of war, and the ways in which Christianity adapted itself to speak more effectively to the warrior aristocracy of Anglo-Saxon England. Professor Sarah Foot presented our sixth object, a gold strip with inscription found in the Staffordshire Hoard, on 19th January 2012 in Deddington Parish Church. Presented by Dame Averil Cameron. The Icon of the Triumph of Orthdoxy was Object No. 66 in Neil MacGregor's History of the World last year, and is one of the greatest treasures of the British Museum. Painted in Constantinople around the beginning of the fifteenth century, the icon depicts the annual Festival of Orthodoxy celebrated on the first Sunday in Lent. This annual feast celebrated the overthrow of Iconoclasm in AD843, and the restoration of the holy icons to the life of the Orthodox Church. 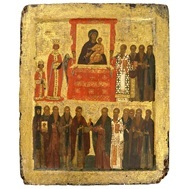 In this icon we see the icon of the Virgin Mary Hodegetria - believed to have been painted by St Luke - presented by the regent Empress Theodora and her son, the emperor Michael III. With this object, Professor Dame Averil Cameron opens up to us the politics and drama of the imperial Byzantine court, and the significance of AD 843 for our understanding of world Christianity today. Dame Averil Cameron presented our seventh object, Icon of the Triumph of Orthodoxy, on Thursday, 9th February 2012 in Deddington Parish Church. Professor of Church History and Christian Theology at the University of Kiel in Germany. 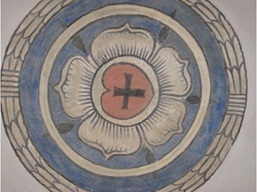 The 'Luther Rose' is the widely-recognized symbol of Lutheranism. It was Luther's own seal, using to author documents, and designed for him at the request of Prince John Frederick in 1530. An expression of his own theology, Johannes Schilling of Kiel University uses the rose to tell the dramatic story of Luther's rise to prominence and the influence and effect of his convictions upon European Christianity in the sixteenth century. Professor Johannes Schilling presented our eighth object, the stone rose from Martin Luther's house, Wittenberg, on Thursday, 8th March 2012 in Deddington Parish Church. Presented by Dr Sarah Apetrei. Departmental Lecturer in Ecclesiastical History in the Theology Faculty at the University of Oxford. 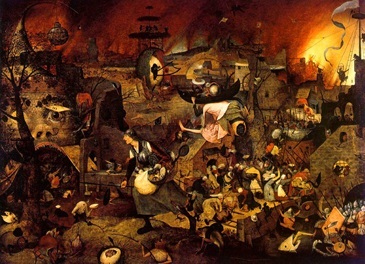 Brueghel's nightmarish vision of hell, being pillaged by the folk-hero Mad Meg, illustrates the darker past of Western Christianity:especially its confrontation with evil, and its attempts to understand and control female nature. In this session, Dr Sarah Apetrei, a lecturer in Ecclesiastical History at Oxford interested in spirituality and gender in the early modern world, explores the church's demons in the age of Reformations and witch crazes, through an examination of the literature, art and legal structures which manifested the deep anxieties and conflicts at the heart of European society. Dr Sarah Apetrei presented our ninth object, Mad Meg, by Peter Brueghel the Elder (1562), on Thursday, 22nd March 2012 in Deddington Parish Church. Presented by Mrs Xenia Dennen. Mrs Xenia Dennen presented our tenth object, a spoon from the Solovetsky Islands, on Thursday, 19th April 2012 in Deddington Parish Church. One of Britain's leading experts on the history of Russian Christianity, and Chairman of the Keston Institute. The Rt Rev'd Dr Geoffrey Rowell. Bishop of Gibraltar in Europe. On 14 July 1833, a young Oxford don rose to the pulpit of the University Church of St. Mary the Virgin in Oxford and preached a sermon that would come to mark the beginning of one of the most significant religious movements in English, and Anglican, church history - the so-called 'Oxford Movement'. 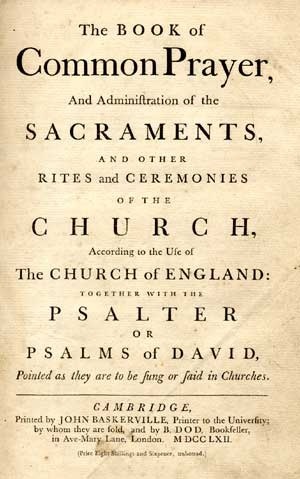 This celebrated campaign by a group of Oxford dons has come to be associated with increased ritual in public worship and neo-Gothic architecture, but for John Keble, John Henry Newman, Edward Pusey and others at Oxford in the early nineteenth century, their efforts did not originate in concern for a religious aesthetic, but from a deeply held concern for the sustenance of the Christian's credal commitment to the 'catholic and apostolic Church' in an age of reform and revolution across Europe. 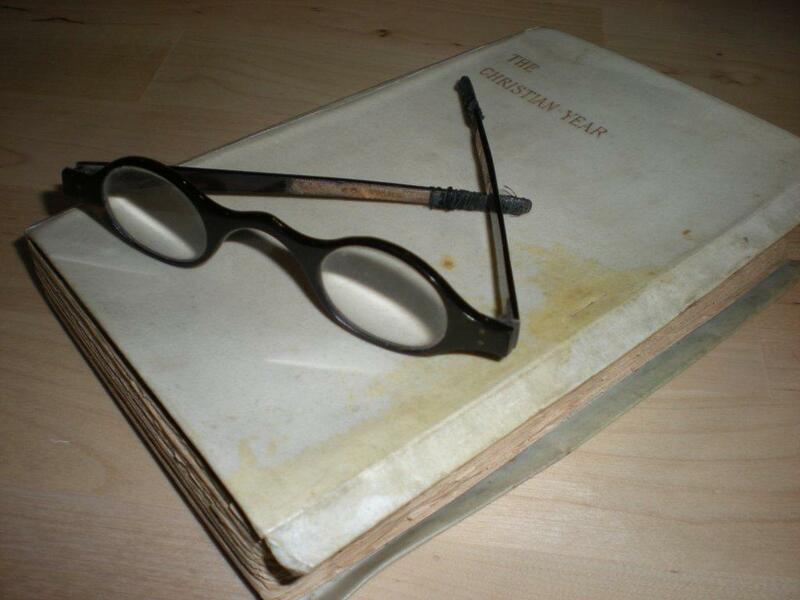 The Rt Rev'd Dr Geoffrey Rowell will present our eleventh object, the Spectacles of John Keble, on Thursday, 10th May 2012 at 19:30 in Deddington Parish Church. The Rev'd Dr William Whyte. Senior Dean, Fellow and Tutor in History, St John's College, Oxford. This talk will be about two men and one object. The men were cousins and Victorian missionaries, John and William Colenso. 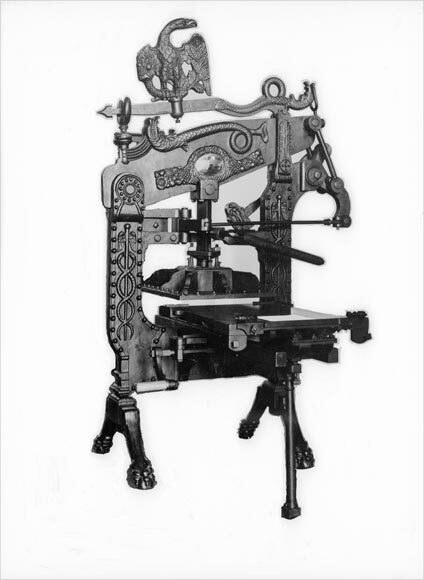 One went to New Zealand and the other to South Africa; and both took with them a printing press. With it, they published the Bible in Maori and Zulu for the very first time. Yet their lives then took a turn for the worse. William was publicly disgraced by his affair with a Maori woman while John, although a bishop, found his views condemned as heresy by his own Church. The story of the two men and their printing press thus tells us much about the global expansion of Christianity in the nineteenth century - its success and the problems it produced. The Rev'd Dr William Whyte presented our twelfth object, Colenso's Printing Press, on Thursday, 7th June 2012 in Deddington Parish Church. Lady Margaret Professor of Divinity, University of Oxford. The twentieth century saw some of the bloodiest and most devastating conflicts in human history, and often between supposedly Christian nations. The slaughter of millions on the Western Front between 1914 and 1918, in particular, devastated the confidence of Christianity in Europe, and prompted a wholesale reconsideration of the nation-state's trinity of King, God and Country. In this talk, Canon Pattison considers his great uncle's burial place in France to reflect upon the effects of global warfare upon Christianity in the twentieth century. 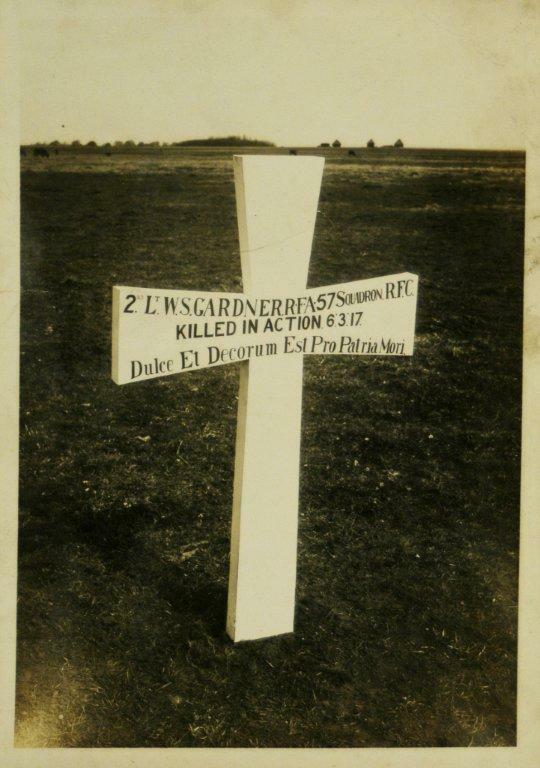 Canon Professor George Pattison presented our thirteenth object, the First World War Burial Cross of 2nd Lieutenant W.S. Gardner, on Thursday, 28th June 2012 in Deddington Parish Church. Secretary-General of the Alliance of Religions and Conservation and Broadcaster. With our penultimate object, Martin Palmer takes us back many centuries to consider what is normally seen as a very modern phenomenon: Christianity in China. 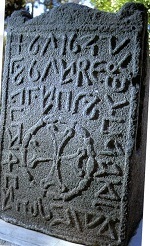 The object is the Church of the East stele - also known as the Nestorian Stone. Dated 781 AD it tells the story of the arrival and spread of Christianity in China in beautiful Chinese poetry and includes a fascinating version of the Gospel working with Christian, Daoist, Buddhist and Confucian imagery and terminology. In terms of Christian history, the Stele is deeply significant. It conveys a form of Christianity that taught Original Goodness not Original Sin. It was a non-power based form of early Christianity unlike the Roman Empire and Christianity and as such offered a completely different way of being Christian; it had women ministers, was largely vegetarian and refused to own slaves - unlike, for example, Buddhist monasteries in China. The Stele also has the best preserved texts from the Church of the East, which from the 5th century to the 13th century was two to three times bigger in terms of numbers than the Church of the West and spread at its height from present day Iraq through Iran, the Arabian Peninsula, East Africa, Iran, the Central Steppes, Afghanistan, India, China, Mongolia to Japan and Korea. Yet, its history is almost unknown in the West. Martin Palmer will explore the Stele's history, its theology and the radical challenge it presents to how we think about Christianity. Martin discovered the only remaining building from the Church of the East, built in 650 AD, and this is now to be the centre-piece of a new Chinese-Government funded 'Museum of Christianity in China' to open in three years at a cost of roughly �110 million. 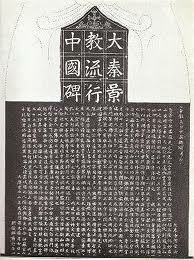 Martin will explore why the Stele, and this building, are of such significance to contemporary China. Martin Palmer presented our fourteenth object, the 'Nestorian Stone' or Church of the East Stele, on Thursday, 6th September 2012 in Deddington Parish Church. The Rev'd Dr Daniel Inman. 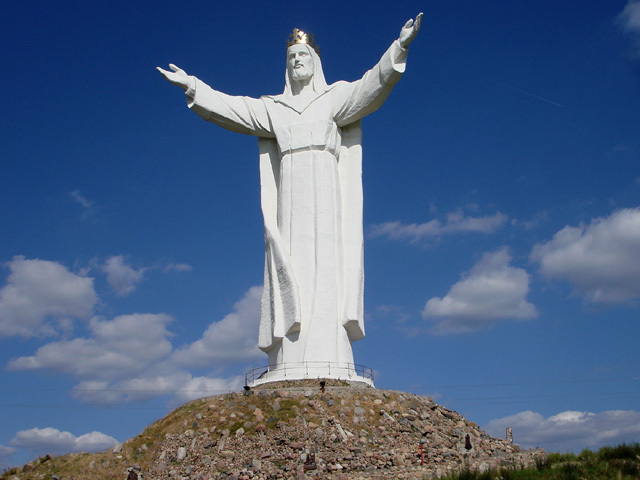 Completed in 2010, and 33 metres tall (108 feet), the statue of Christ the King towers over the small town of Swiebodzin in western Poland and claims to be the largest statute of Jesus in the world, even beating its more celebrated peer, Christ the Redeemer, in Rio de Janeiro. Hoping that the statue will attract pilgrims from across the country, the local priest Sylwester Zawadski who championed its construction, claimed the statue would bring many pilgrims - and economic revival - to the town. A mighty edifice, it speaks of the strength of Christian life in post-communist Europe. With apparently weak foundations, however, some structural engineers believe that the statue will collapse in a matter of decades. This gloomy prognosis for that statute mirrors the forecasts of some sociologists who doubt the long-term strength of Catholicism and Orthodoxy in the East. Taking the statue as our final object, Daniel Inman explores the recent fortunes and future of Christianity in twenty-first century Europe, not least as the faith grows rapidly in Asia, Africa, and Latin America. The Rev'd Dr Daniel Inman presented our fifteenth object, Statue of Christ the King, Swiebodzin, Poland, on Thursday, 20th September 2012 in Deddington Parish Church.